A long-standing question is how biological systems sense and perceive mechanical signals such as osmotic pressure, gravity, and touch. One well-established molecular mechanism for force sensing is the activation of mechanosensitive (MS) ion channels. The Mechanosensitive channel of Small conductance (MscS) from E. coli functions as a hypo-osmotic safety valve, opening in response to increased membrane tension and preventing cellular rupture. Genes predicted to encode MscS homologs are found in genomes from all three kingdoms of life. We have been characterizing the structure, function, and regulation of ten MscS-Like (MSL) proteins in the model plant Arabidopsis thaliana. Based on their modest homology to MscS and high topological diversity, we have proposed that MSLs might (1) sense and respond to sources of membrane tension other than environmental hypo-osmotic shock; (2) be regulated by mechanisms in addition to membrane tension; and (3) signal in ways that are separable from ion flux. Evidence in support of all three of these hypotheses will be presented. Elizabeth Haswell is Associate Professor of Biology in the Biology Department of Washington University in Saint Louis. Her group aims to identify the molecular and cellular mechanisms by which plants perceive force, with a particular focus on mechanosensitive ion channels. She was awarded an NSF Early Faculty Career Award in 2012 and an HHMI-Simons Faculty-Scholar Grant in 2016. Liz is a Reviewing Editor for The Plant Cell and is a Guest Editor for Current Opinion in Plant Biology. She is Co-Director of Research for the NSF Science and Technology Center for Engineering Mechanobiology and serves on the North American Arabidopsis Steering Committee and the Multinational Arabidopsis Steering Committee. She is an advocate for science communication and for an academic culture that values sustainability, diversity, and authenticity. She is also a co-host of the Plantae podcast, The Taproot. Liz earned her PhD in Biochemistry at the University of California, San Francisco, working on chromatin remodeling in yeast. She then switched to plant systems for her postdoctoral work as a Life Sciences Research Fellow at Caltech, where she fell in love with plants and mechanobiology. She joined the faculty in the Biology department at WUSTL in 2007. 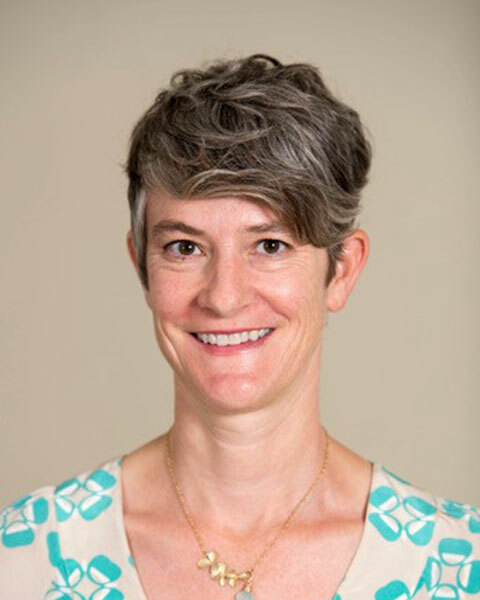 Bio: Elizabeth Haswell is Associate Professor of Biology in the Biology Department of Washington University in Saint Louis. Her group aims to identify the molecular and cellular mechanisms by which plants perceive force, with a particular focus on mechanosensitive ion channels. She was awarded an NSF Early Faculty Career Award in 2012 and an HHMI-Simons Faculty-Scholar Grant in 2016. Liz is a Reviewing Editor for The Plant Cell and is a Guest Editor for Current Opinion in Plant Biology. She is Co-Director of Research for the NSF Science and Technology Center for Engineering Mechanobiology and serves on the North American Arabidopsis Steering Committee and the Multinational Arabidopsis Steering Committee. She is an advocate for science communication and for an academic culture that values sustainability, diversity, and authenticity. She is also a co-host of the Plantae podcast, The Taproot. Liz earned her PhD in Biochemistry at the University of California, San Francisco, working on chromatin remodeling in yeast. She then switched to plant systems for her postdoctoral work as a Life Sciences Research Fellow at Caltech, where she fell in love with plants and mechanobiology. She joined the faculty in the Biology department at WUSTL in 2007.